y Robert W. Firestone, Ph.D. Beyond Death Anxiety: Achieving Life-Affirming Death Awareness assists mental health practitioners in helping their clients learn to accept and face their mortality. They describe the many defenses of death anxiety, and suggest methods to cope directly with fears of death; an approach that, ironically, can lead to a greater appreciation of life. This book examines the many destructive consequences of death anxiety, including introversion, depression, and withdrawal from life. Throughout the book, the authors demonstrate the importance of achieving what they call life-affirming death awareness. With this book, mental health practitioners and their clients will be able to better understand death awareness, overcome the defenses against death anxiety, and ultimately lead richer, more fulfilling lives. 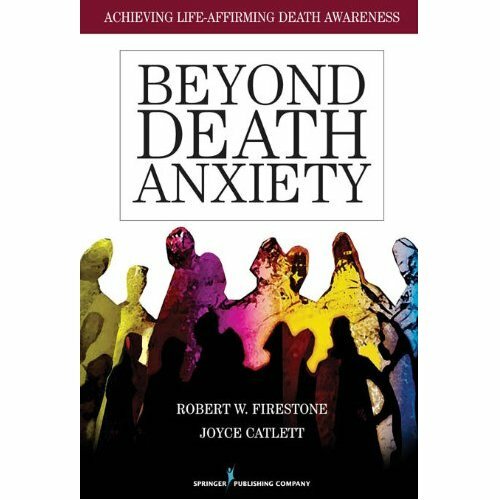 Read the Ernest Foundation Newsletter’s review of Beyond Death Anxiety here.